I’ve always been one of those people who would rather eat cookie dough with a spoon than wait for it to be baked into cookies. And when that cookie dough happens to be high in protein, high in fiber, vegan (no raw eggs to worry about! ), and free from processed sugar—then why not, right? You might recall the Healthy No-Bake Cookie Dough Bites that I shared here on LC.com a while back. It is one of my very favorite recipes that I make whenever I’m craving a sweet treat to snack on. 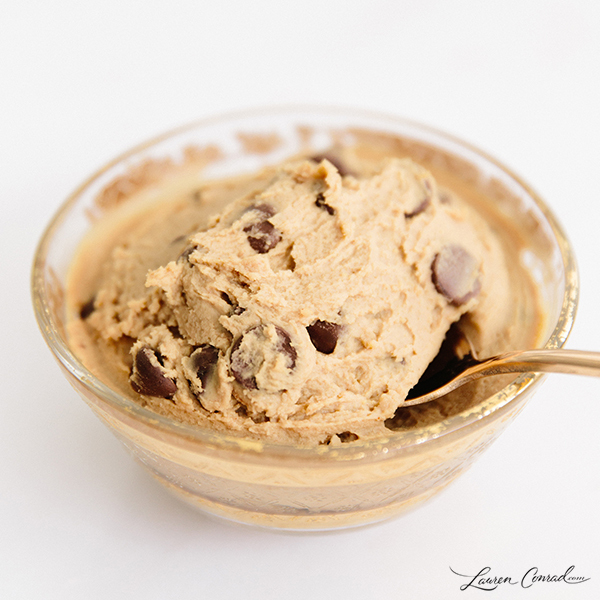 Well lately, I’d been seeing chickpea ‘cookie dough’ recipes popping up all over Pinterest, and I knew I had to experiment with this new healthy treat too. The Healthy Protein Cookie Dough that resulted is essentially the exact same recipe as my Healthy No-Bake Cookie Dough Bites. The only difference is that I replaced the cashews and oats with chickpeas and peanut butter—making this version higher in protein and fiber than the original. Are you going to give this healthy treat a try? 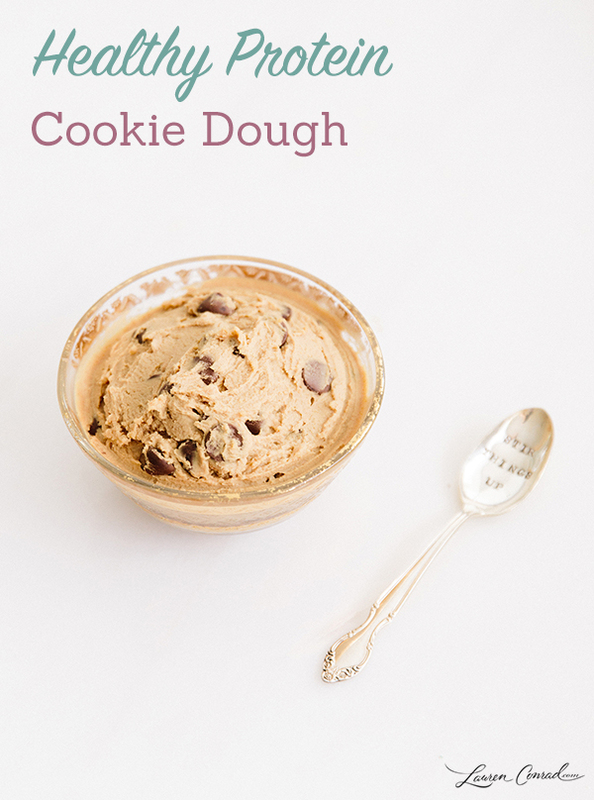 Don’t knock chickpea cookie dough until you try it! P.S. For anyone wondering, the cute ‘Stir Things Up’ spoon is from For Such a Time Designs on Etsy.